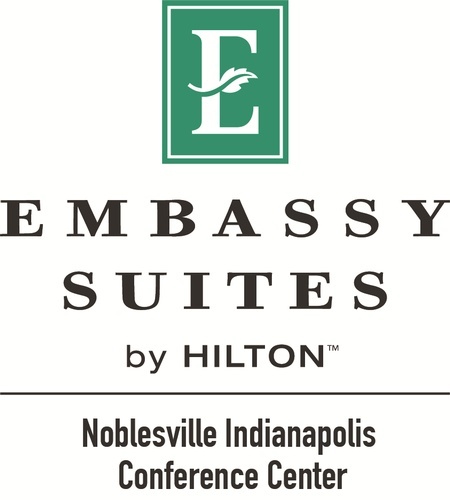 The Embassy Suites by Hilton Noblesville - a 187,700-square-foot hotel with 198 suites, 20,000 square feet of conference space and 5,000 square feet of meeting space opened in spring 2018. The seven story hotel, conference center and 367-space parking is on 6.26 acres in the Hamilton Town Center & Saxony Campus area. Embassy Suites is the largest hotel with conference space and one of the largest meeting venues in Hamilton County. Embassy's high-end hotel and conference center is a perfect complement to the nearby high-tech business parks in and the vibrant retail village in and around Hamilton Town Center in Noblesville.